The last thing that you want at your place of business is a pest control problem. It can have an immediate and long term impact on the reputation of your business, even if you have the problem treated. If you own your own business, it is wise to have routine commercial pest control treatments so that you can prevent any problems and keep your business pest free. Eco Tech is a local extermination company based in the Minneapolis/St Paul, MN area with more than a decade of experience in the pest control industry. Insects and other pests can cause serious problems for your business, damaging the building, and giving your customers the impression that your business is dirty and not routinely clean. If you notice the first sign of a pest problem, you need to be able to handle it immediately. Eco Tech has a 24/7 emergency line (1-763-232-7296) and is prepared to respond to your problem quickly. In addition to immediate service, we also offer affordable pricing, flexibility with appointments and no long term contracts. Finally, the pest control products that we use are all-natural, safe and highly effective, so you can be confident that the pest problem is taken care of the first time we treat. In addition to responding immediately to a pest control issue, the team at Eco Tech can also partner with your business to prevent a future pest outbreak in your business. We will work closely with you and teach you important steps to take to help ensure that insects and pests will not return. We also repair any damage the pests or insects may have caused your building, such that the pests will be unable enter again. 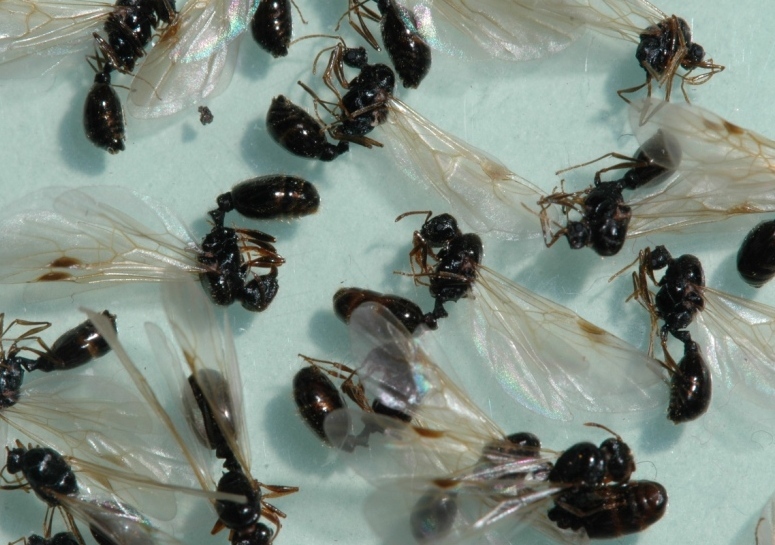 Our team of pest control technicians are extremely familiar with the pests that inhabit the Minnesota area and can also advise you about potential vulnerable areas in your building to the most common local pests including ants, beetles, fleas, lice, wasps, crickets, grubs, roaches, and spiders. The team at Eco Tech will help you keep pests out of your business so that you can keep your customers happy and keep your business growing. We will help you give a great first impression and keep you from having to worry about pests interfering with your business. Call Eco Tech to schedule an appointment at 1-612-237-8282 today!